So, after the Kavenaugh hearings, the Manafort trial and all the other crap that Republicans have recently been accused of there has been lot of talk on that side about innocent until proven guilty. For starters the Kavenaugh hearings aren’t criminal proceedings and as such that standard doesn’t apply, but that is another topic entirely. My complaint is that the right suddenly cares about innocent until proven guilty and how our justice system works now that there are high ups in their party who are under the microscope of the criminal justice system. They have fought criminal justice reform at every opportunity. The President and his Attorney General have both pledged to be tough on crime and have rolled back nearly everything Obama did including his attempts at criminal justice reform. If that is your stance that is fine, but the problem is the hypocrisy of it. Trump is always talking about Manafort, Joe Arpaio, and so many of his other cronies being treated unfairly by the criminal justice system. When he or his buddies are in legal jeopardy suddenly it’s a problem, there’s a “deep state” and innocent until proven guilty should kick in but let me tell you about my experience. I have been on both sides of the law. I have committed crimes and run through the system on the receiving end. I have been a police officer and helped with the other side. The truth is our system is designed around guilty until proven innocent. It makes sense because our system is based on the old British system in which the philosophy was guilty until proven innocent. A police officer is somehow alerted to a crime. The police officer investigates. This is the first place where bias and corruption can enter this equation. MOST cops are good men or women who try to conduct a good investigation. The problem is at best some cops have inherent bias as well as personality traits which affect their judgement and they will decide someone did it as soon as the investigation begins. This can taint the entire investigation and they potentially could ignore evidence which indicates another individual or at least clears the person they are suspecting. Probable Cause is the standard for an arrest. That means that the person who arrests or orders the arrest reasonably believes that a crime was committed and that a certain person committed it. When I was in police academy it was explained that you have to be 51% sure that they did it. That is not only a low standard to ruin a person’s life, but it also is low enough that you can form probable cause for multiple people, sometimes causing innocents to be swept up in the net. It’s rare that there are malicious intentions on the part of the officer, but that does occasionally happen too. Let’s also remember that in many jurisdictions we are talking about sheriff’s departments. Sheriffs are elected and as such have very little oversight and have motives other than seeking justice, ie. reelection. The next step is the officer takes his report from everything he has investigated and his belief of who did it to the prosecutor. Now it’s important to know who the prosecutor is. In nearly every jurisdiction outside of federal and many municipal prosecutors or district attorneys are elected officials. Elected officials care about one thing above all else, being reelected. Everyone talks about how they don’t trust politicians and how crooked they are. If you are of this mind set, who on earth would you think that a prosecutor would be any better. So, this prosecutor, whom we hope is an honest politician, now makes the decision if the officer was right or wrong. If the prosecutor agrees he will send an application for a warrant with an affidavit from the officer to a judge. If he is worried the judge wont sign a warrant he will ask the officer to build a better case or get more evidence. The problem with this is, it assumes guilt. It actually isn’t how the system is designed to work. 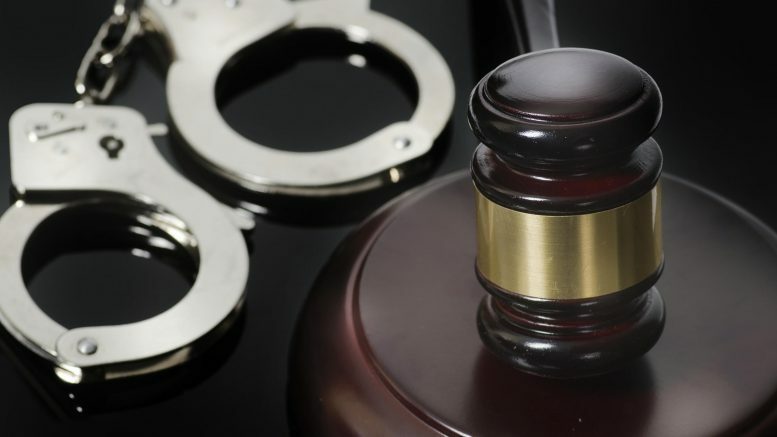 An arrest warrant is supposed to only be used in the situation of a flight risk or if there is a belief of potential threat to the community if the suspect isn’t allowed to remain free. The application for arrest warrant process in most jurisdictions is outside traditional due process and should only be used in those two situations. The process doesn’t allow for the accused to defend himself against their freedom being taken away, at least not immediately. The proper way this should be handled if there is no flight risk and threat of danger to the community, is by issuing the suspect a summons to court, where a arraignment hearing can be held and evidence can be presented by both sides on whether the suspect, now defendant must be incarcerated or should be allowed to remain at large until trial. The prosecutor wants this person locked up as soon as possible and will start issuing press releases about the arrest and bad the crime is and the defendant. It all revolves around scaring the defendant to take a plea so that the prosecutor can keep a high conviction rate with as little work as possible. Next a warrant is usually issued. Judges rarely deny a prosecutor anything. Judges, prosecutors and defense attorneys are often buddies and play golf together, have dinner together and are members of all the same social clubs. After the warrant is issued it goes back to the police to serve the warrant and take the person into custody. Some warrants have a bond set immediately by a judge, others do not. So, if they find the person they are looking for they are taken into custody and if a bond is already set they are given the opportunity to bond, if not they are held until a judge can set a bond. Some states have statutory limits on how long this can be, they are usually more progressive blue states. It’s not traditionally the view of the right that people accused of a crime have rights until it is one of them who is accused. Bonding Out: So, there are options of how to post a bond or bail. The concept is that you are posting something of financial value that will be collateral which the court holds to ensure you will appear in court. The idea behind this is flawed and assumes you are guilty. An innocent person wouldn’t be a flight risk and would appear in court. At a true bond hearing evidence can be presented by both sides. The truth is, if there is no evidence you are a flight risk or a serious risk to the community you should be released without bond or ROR’d Release on your Own Recognizance. If there is evidence you are a threat to the community you should be held without bond, and if you are a flight risk it should be a pretty high bond in proportion to your income and assets. It rarely goes this way. Rarely is anyone ROR’d unless they are a public official. CASH OR SURETY: Cash or surety means that your bond can be money you post, or a bond certificate posted by a “bondsman”. A bondsman is certified and takes responsibility for you. If you don’t show up for court, they either have to hunt you down and bring you in, or THEY must pay the entire amount of your bond to the court. You pay the bondsman a percentage of whatever you full bond is usually ranging from 5% to 20%. You will NEVER get this money back. That is how they make their money. 10% or 20% Some courts will allow you to post your own 10% or 20% of your bond as a surety, but this is rare. The advantage to posting your own bond is that you will get the money back after everything is over, minus costs and any restitution that you may be ordered to pay in court. The same applies if you have to post the full amount. COLLATERAL SURETY: If you own something outright which has significant value such as a house or sometimes a very fancy car, boat, or RV, you can often put up the title to that as a surety. The court will have you sign it over and if you don’t show they will sell it for the money. Every step of this process is set up to assume you were guilty. To make matters worse the court and prosecutor prefer for you to take a plea rather than have your day in court. If every person who were accused of a crime in this country went all the way to trial the system would collapse. ATTORNEY’S FEES: Attorneys range anywhere from $100/hr way up into the thousands. Usually you must first pay a retainer fee which is generally $1000 on up. Some attorneys will say I will charge you X amount to take your case which is up until trial. A good example would be $8,000. That doesn’t sound too bad when you are in a bind and he will take payments. That’s until you realize that there is no way you are going win your case without a trial. When you discuss trial, you find out its going to be another $10,000 to $75,000. There is no way you can afford that unless you are well off, so you have now paid $8,000 for an attorney to help you plead guilty to something you may not have even done. The fact that our legal system is set up to cost you money is unfair and assumes you are guilty. You shouldn’t have to pay a dime unless and until you are found guilty. Being accused of something you didn’t do shouldn’t have to bankrupt you. The fact that our legal system releases your charges and whatnot as soon as you are arrested is unfair and assumes you are guilty. If you are not guilty the damage to a person’s reputation cannot be repaired. Nothing should be released unless and until you are found guilty. If you are found not guilty it should be completely erased from your record. DOUBLE JEOPARDY: So, the fifth amendment is one of our most powerful amendments. Not only does it say you can’t be compelled to be a witness against yourself. It states that you can’t be subject for the same offense to be twice put in jeopardy of life or limb. Which basically means they can’t charge you for the same crime twice. The problem with this is that they will do just that if they really want to get you. Let’s say you have been charged with kidnapping in State Court in Maryland. You go all the way to trial and are found not guilty. They really think you did it and want you to go down, so they refer the case to the FBI. The FBI, for whatever reason, decides they will charge you with federal kidnapping and you get to do the same thing all over again in federal court, which is much worse. You could even be found not guilty there and still be sued civilly in court for the same stuff. Let’s assume you are poor but are charged with a serious crime like armed robbery. For further kicks and grins, lets also assume you honestly didn’t do it, but they have convincing or maybe not even that convincing circumstantial evidence that makes it look as though you did. You work at McDonald’s for minimum wage. You are arrested. You have no money, as you live pay check to pay check. You own nothing, because you barely keep your bills paid in the tiny studio apartment you live in that used to be a hotel room. You can’t post a bond, and to make sure of it the prosecutor who is convinced you are guilty argues for a one-million-dollar bond siting that you are a flight risk as you have no ties to the community. You request a court appointed attorney, but the court initially denies it because you have a job and cites that you have friends and family which you can borrow the money from. After this first appearance in court you sit in jail for a month before going back. The judge asks you about your attorney and you remind him or her you were denied and why. The judge asks a bunch of embarrassing questions about your living situation and your job as well as family and friends. The judge orders a public defender for you. By this time, you have been fired from your job and eviction proceedings have begun for you crappy apartment. You go back to jail and two weeks later the public defender comes to meet with you. Its obvious that he/she doesn’t believe you either and really wants you to take a plea even though you really want to fight it because you didn’t do it. You spend another month in jail before going to court again. You are transported from jail in an orange jumpsuit by deputies in cuffs and leg shackles. Your public defender finally enters a plea of not-guilty on your behalf. A trial date is set for 6 months away. Your Public defender keeps working on a deal for you, which takes a whole year. By the time they take you to court to change your plea to guilty and take the deal you have been in county jail for a year and 3 months. You are sentenced to 5 years’ probation for a reduced FELONY charge of stealing and credit for time served. To top it all off you find out you have to pay $30 a day for every day you were in jail, $250 in court costs and restitution of $2,300. For a total of $16,140 which is almost as much as you made in a year at McDonalds. You also have to pay a monthly fee to the probation officer. You get out of jail with no place to live and no job. You don’t qualify for any public housing because you are a felon, and no one wants to hire you because you are a felon. Your probation officer tells you how lucky you are to be charged with a felony and not have to spend time in prison, and in the same breath tells you that if you don’t get a job and pay your monthly fees as well as court costs and restitution that it is a violation of your probation and you WILL go to prison. You can drink. You can’t “associate” with anyone known to have committed a crime. If you so much as get pulled over or get a parking ticket you are to report it to your probation officer immediately. You can’t leave the state. You have no rights and your probation officer can come into your home without a warrant at any time. You have to take regular drug tests which you have to pay for, even though you have NEVER done drugs in your life and weren’t charged with a drug offense. You are homeless, jobless, and have all this over your head and you didn’t even do anything. You, like so many others decide you are better off in prison, where you have a bed and meals. You violate your probation, get sent to prison where you meet people who accept you and teach you to be a real criminal. NOW, don’t get me wrong. There are real criminals who DO commit crimes. There are also those who commit crimes by mistake and do so because they feel they have no other choice. Our system needs reforming. We need to treat people as if they are innocent until a jury of their peers has found them guilty or having been given equal chance to defend themselves admit they are guilty. We also need to quit lumping every person who breaks the law together in one big pot. A first-time offender especially can be reformed under the right circumstances and it’s a lot cheaper than putting them in and out of prison for the rest of their life. There is also a huge distinction of someone who gets a speeding ticket and fails to appear in court and someone who just murdered their parents! Many states have created failure to appear warrants which are treated as badly as serious crimes when the initial “crime” was only an infraction. Not to mention the proceeding court cases have fees which are so high they break people. Many people fail to appear because they can’t afford to pay the fine or get out of work to appear in court. People need to be more responsible for their mistakes, but the justice system also needs to be a bit more accommodating to these little situations. We also need a national “ban the box” initiative. You shouldn’t be denied housing or a job just because of a felony. If you served your time, that should be it. Granted some jobs require a higher standard, but even most of those should allow someone to explain themselves and consider the amount of time since the offense. Some states have what is called a rehabilitation certificate. These are great ideas. A judge determines based on the time since a crime was committed and someone’s behavior since along with other factors if they have been rehabilitated. This is treated like a pardon and allows someone to obtain employment and housing. Another problem we have is inconsistent laws which show a disproportionate punishment based on economic classes. Crack and powder cocaine are nearly identical at the molecular level, BUT people who are charged with 1 gram of crack are given the same sentence as those found in possession of 18 grams of cocaine. What is the difference? PRICE. Crack is cheap and therefore used by people with lower incomes, powder cocaine is much more expensive and used by people with much more money. Crack is used by the guy who works at McDonalds and Powder is used by the stock broker or senator’s son. WE NEED TO FOCUS MORE ON REHABILITATION AND LESS ON PUNISHMENT. Punishment costs the taxpayer way more and ruins lives of everyone involved. Serious crimes should still require long sentences and some even life, but we must give people a chance. Be the first to comment on "Innocent Until Proven Guilty"